The love affair and eloping termed as immoral amounting to a breach of discipline was based on the moral values of the persons in the management. It is a sin for some and not a sin for others. In law, it is the choice of freedom which is the essence of liberty, stated Justice Mustaque in the judgment. 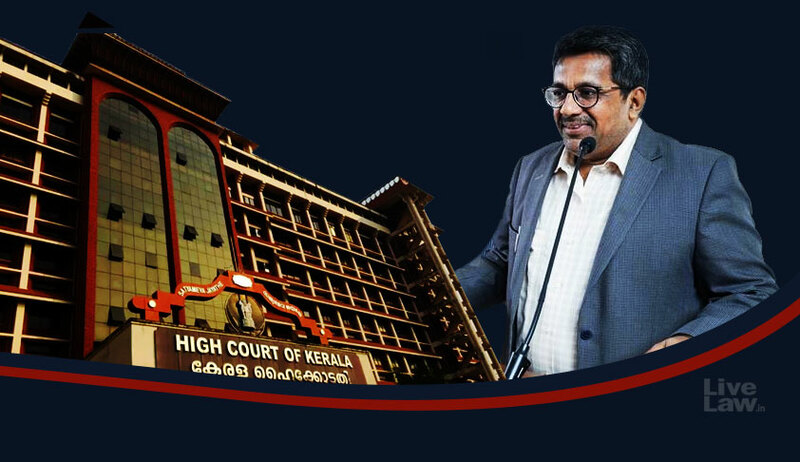 In a significant judgment, the High Court of Kerala quashed the decision of a college to expel two students for their love affair and subsequent elopement. The students, who were majors, got married in the due course. One of them wanted to resume studies, and the other sought release of academic records retained by the college. The college had expelled them finding their acts amounting to “gross discipline”. When their demands were unmet by the college, they approached the High Court by filing writ petitions. Justice Muhammed Mustaque, who considered the petition, criticised the decision of the college as “moral paternalism". "Is love a freedom or fetter? "- the judgment started with this question. Though the Court acknowledged that the head of an educational institution has the power to maintain academic discipline, it observed that the decision to expel the students was not connected with legitimate purpose of such power. Every authority vested with power has the duty to discharge such power for the legitimate aim for which such power is conferred upon them. A measure must be necessary to achieve the aims. It cannot be used as a weapon to impose personal moral values of persons managing the affairs of the College upon their students. What defines anomie for some, may be illogical for others. The right of management to administer an educational institution would also include the power to impose discipline among the pupil to secure the objective standards of education. But, that does not mean that the authority can assume the role to impose moral paternalism upon students notwithstanding their disagreement to such values of the authority, Justice Mustaque observed. The Court further stated that “The campus of the educational institution must be a place of neutral value leaving moral choice left to the discretion of students to uphold freedom of latter and to overcome personal biases. The Court further stated that its role was not to endorse the moral choices of the students or college authorities, but to “recognize the freedom to have choice”. The college authorities were found to have exercised their disciplinary power without any nexus with the object for which such power was conferred. Right to choose life partner part of right to privacy. Referring to the historic judgment of Supreme Court in K.S Puttuswamy v. Union of India which held right to privacy to be a fundamental right, the Court held that right to choose life partner was part of right to privacy under Article 21 of the Constitution of India. “One to have an affair or not to have an affair with another is a personal choice, and such choice is fundamental to the liberty guaranteed under the Constitution. Choosing a life partner or choosing a way of life is the discretion based on individual autonomy.”, stated Justice Mustaque in the judgment. Dissent with earlier judgment in similar case. While arriving at the conclusions, Justice Mustaque declined to follow an earlier judgment of the High Court, which had upheld the decision of a college to dismiss students for being in a living together relationship. In that decision, the Court had upheld the dismissal holding that “it was not a mere case of falling in love; but two students taking a drastic step of eloping and living together without even contracting a marriage”. Justice Mustaque declined to follow that decision, stating that it was rendered without adverting to the fundamental right to privacy. It was stated that after the Supreme Court declared right to privacy as fundamental right, that judgment lost its “significance as binding precedent”. In the above light, the prayers of the petitioners were allowed. The college was directed to permit one of the petitioners to resume studies, and to return the records to the other petitioner. The university was given a direction to condone the attendance shortage of the student. In this context, it may be worthwhile to mention that during December 2017, the High Court of Kerala had upheld the decision of a school to expel two students for allegedly indulging in public display of affection in school premises.